we offer you silk and wool shawls,stoles,scarves in solid colours,Ombre shaded colours,Reversibles,checks,stripes,screen print,Digital print and Fine machine embroidery work. Solid colors in all kind of qaulities. Reversibles in fine silk and fine wool. ombery shaded family colours,Contrast colors. screen print in floral,modern and polka dot. 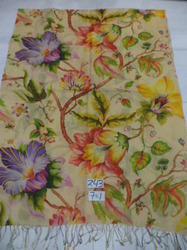 Digital prints in all types of prints,floral,Obstract designs,modern art designs,Animal prints,Border designs. Customization in all type of qualities,sizes,colours and prints as per requirement of buyer. 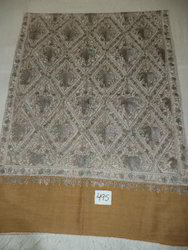 Silk/wool shawls in fine quality with delicate and heavy embroidered stoles size 70x200 cms in assorted colors and designs. 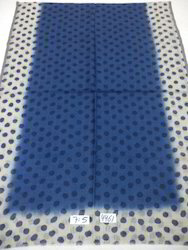 Supreme quality silk-wool 4 side dyed border with polka dot printed shawls/scarves. 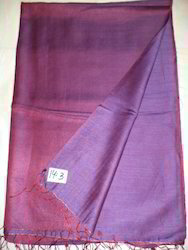 90% wool belended with 10% silk Available in assorted colors in size 70x200 cms. we offer fine quality 50%silk-50wool reversible shawls/scarves in assorted colors in 70x200 cms with fine twisted fringes. Available in assorted prints in size 70x200 cms weight per pc would be 100 grams. We are a leading Manufacturer & Exporter of silk wool printed scarves & stoles such as ailk scarves, woolen scarves, printed scarves, silk stoles, printed stoles many more items from India. 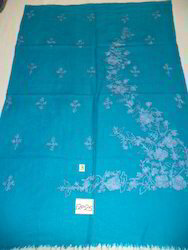 90% pure wool blended with 10% silk printed stoles size 70x200 cms.Available in assorted designs and colors. 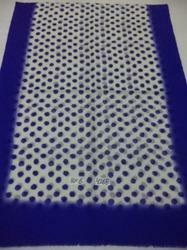 We offer you center dyed polka dot printed stoles in assorted colors size 70x200 cms. 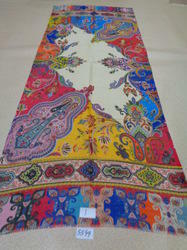 we offer you Fine quality 50% silk and 50% merino wool Digital printed stoles,shawls and scarves in 70x200 cms size. Available in stock assorted designs and colors. Customized designs,colours and sizes are possible as per requirement of buyer. 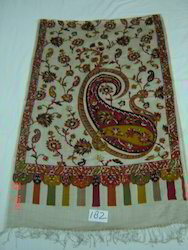 We are a leading Manufacturer & Exporter of silk embroidered scarves & stoles such as silk scarves, woolen scarves, printed scarves, silk stoles, printed stoles many more items from India. Available in stock in assorted designs and colours. customized designs,colours and sizes are possible on special orders. 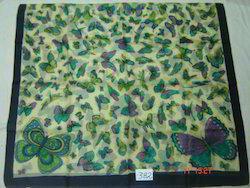 Detailed Description 100% pure tabby silk in 28 grams quality scarves, shawls, stoles and pareos in butterfly designs as well as in floral and traditional designs. 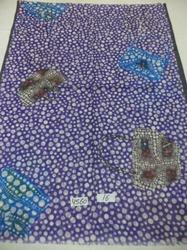 Available in many other colors and designs in size 90x180 cms. you can get other sizes in this quality. we offer following sizes - 100x100 cms, 55x180 cms in the same quailty and you can get hundreds of designs in it.